Say Hello to the Norwegian Lundehund! The Norwegian Lundehund is very friendly and loves people. They will gladly snuggle up with you or another dog or dogs for hours on end and be quite happy. As much as they love snuggling, they also love to play and can play various things for what seems like hours on end. 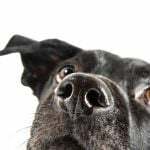 They are also a very curious breed and will seek things out and go exploring, so you need to make sure that you keep them on a leash and keep an eye on them. 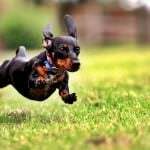 The breed is often trained for agility and obstacle contests and is very good at it. It is also a great hunting dog because of special physical characteristics that it has. 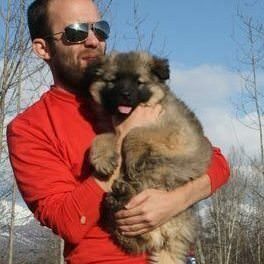 One of the problems people have with the Norwegian Lundehund is that they are very hard to train and even harder to housetrain. 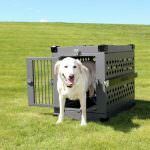 Crate training is a near must with them in order to achieve any success at all with housetraining. They are still considered a primitive breed and are slow to learn, so the less opportunity that exists for bad behavior the better off both of you will be. 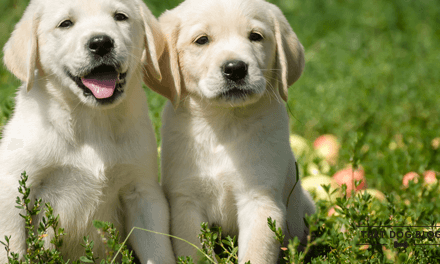 It has a tendency to be shy and prefer only the company of its own family, so proper socialization can help to make a big difference with this breed. 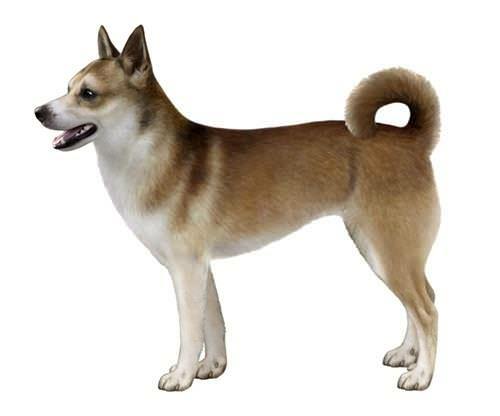 The Norwegian Lundehund is small and somewhat rectangular in shape. It has a number of odd characteristics that are not found in most other breeds at all. It is noted for having six toes on each of its feet, including two dewclaws on each foot. It also has some joints that are in the nape of its neck that most dogs do not possess. Its shoulders are extremely flexible and it actually has quite a bit of mobility in its ears, something that is not common in dogs. Its tail has a ring shape and its legs are very strong. 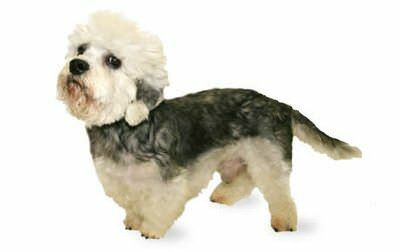 The coat of this breed can be a variety of colors, but most adult dogs show a distinct amount of black in their outer coat than younger dogs of this breed. Norwegian Lundehunds are relatively easy to care for where grooming is concerned. 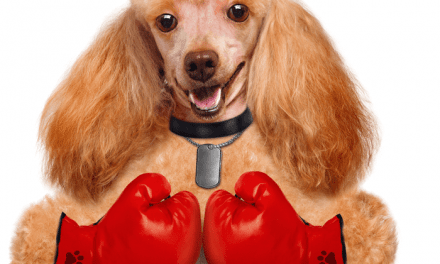 Regular combing and brushing with a firm comb or brush is needed and you must pay special attention to the undercoat to make sure it stays free of any matting or tangling. The breed also sheds quite a bit so you will benefit from regular brushing to help cut down on the shedding. Most owners choose to use a dry shampoo and bathing should only be done as it is necessary. Norwegian Lundehunds, or the Norwegian Puffin Dog as it is also known, is one of the rarest breeds of dog on the planet. A member of the Spitz family, its origins can be traced back to northern Norway. It was used to hunt for puffins on steep cliffs in the mountains. When puffins became a protected species in the 1800s the need for dogs to hunt them had ended. Farmers stopped breeding this type of dog and its numbers dropped significantly. Just after World War II some concerned Norwegians saved the breed from extinction and kept it going, but it is still one of the rare dogs of the world. 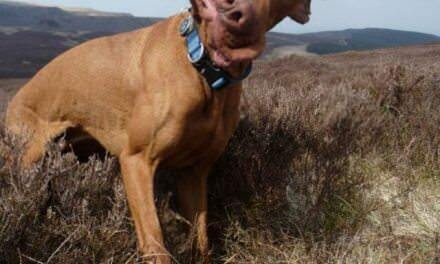 Why Do Dogs Shake Their Heads?